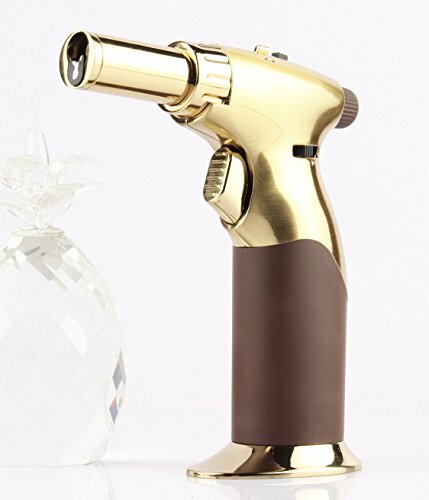 ** REMEMBER - Your Scorch Torch Will Be Shipped WITHOUT Butane to comply with DOT and USPS Safety Regulations ** The fire that you choose to benefit you in your daily motion is essential. Fire, like the funding that is spent fueling it, is not to be played with. Although other lighters may seem to generate similar effects, they are simply not as functional, as efficient, or as elegant as the premium line of Scorch Torch select lighters. 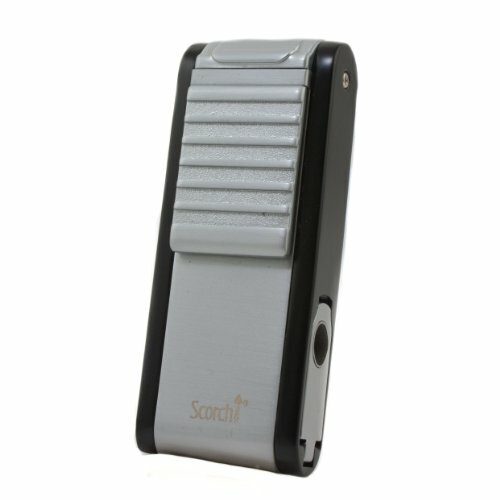 Scorch Torch features robust internal and external design parameters to ensure long-lasting usability when you need it most. Features easy-to-use piezo electric ignition and convenient perks for cigar aficionados where applicable. Whether you're at leisuring at home or fast on-the-go in the strongest of winds, Scorch Torch will be your inextinguishable ally in the modern world. Attention: Please read the instruction before using lighter. Please keep the instruction in order to avoid danger. Gas Refuelling Please use colton or atomic lighter refill.Insert the stem of the gas refueling container vertically into the tank valve located on the bottom of the lighter.Press the container firmlydown for about 3 seconds.Repeat 3-4 times for maximum refueling. Waring for Gas Refuelling 1.When refuelling ensure that there is no open flame nearby; 2.Don't ignite when refuelling; 3.When refuelling, please turn the screw to the "-" position; 4.After refuelling, please turn the screw to the way of "+",adjust the flame at 2-3cm height. Warning 1.keep away from children; 2.Ignite lighter away from face and clothing; 3.Contains flammable gas under pressure; 5.Never expose to heat abover 45℃ or to prolonged sunlight. 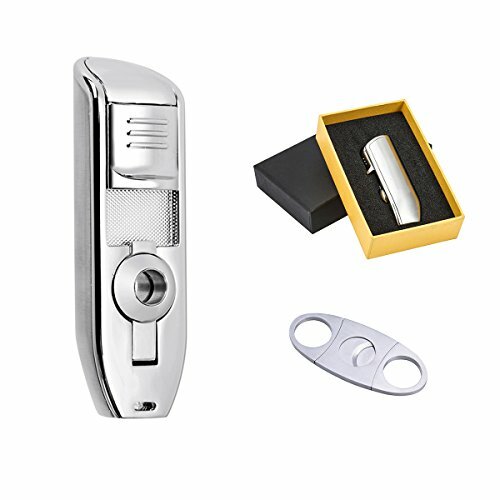 Specification 1.Our cigar lighters are suitable for the cigar whose diameter is about 15mm(0.59 inch)or whose perimeter is about 44mm(1.73 inch); not suitable for much bigger cigar; 2.Package included:1 Gift set lighter + 1 Ciger cutter+ 1 Instruction If you have any doubts with our products, please feel free to contact us first. We would try our best to solve it for you all the time. Bring your old flip-top lighter case roaring into the 21st Century. 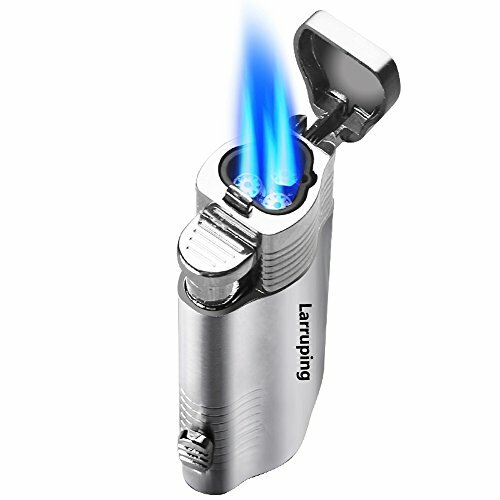 The Top-Z Insert fits most popular fluid filled standard metal lighter cases, and instantly transforms the original lighter with a state-of-the-art butane refillable, piezo quartz crystal instant system featuring two powerful wind resistant blue torch flames. Eliminating the need for flints and handling messy smelly lighter fluid, the Top-Z Insert easily slides into your existing lighter case with no modification. Simply remove the old insert and replace with the Top-Z Insert. Use the Top-Z Insert whenever you're on the go. The wind resistant flames are ideal for outside use. Whether you’re driving down the coast, on the beach, boating, on the golf course or just walking down the street you'll get a fast reliable flame every time. 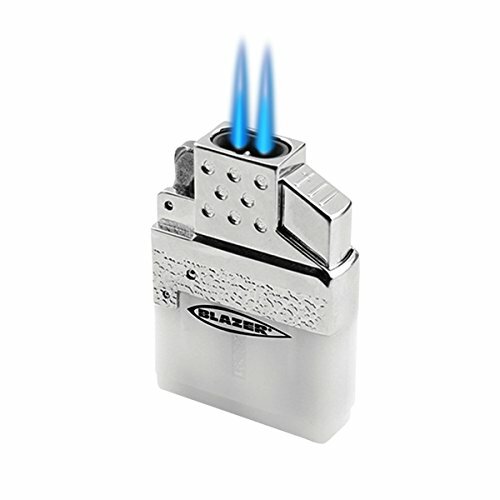 Convert between a traditional flame and torch flames by simply swapping inserts when necessary. 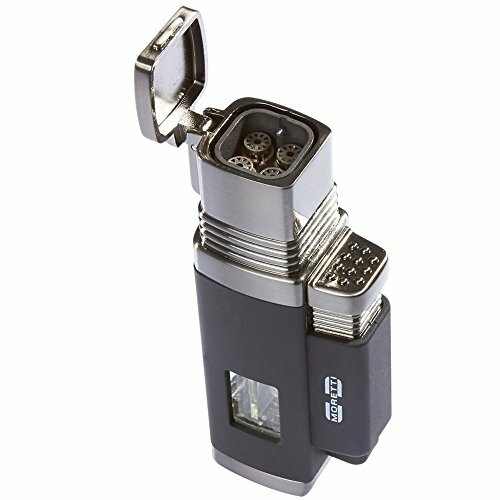 Now you can enjoy the feel and look of your favorite lighter as well as the modern benefits of two powerful torch flames with the Top-Z Torch Flame Lighter Insert. 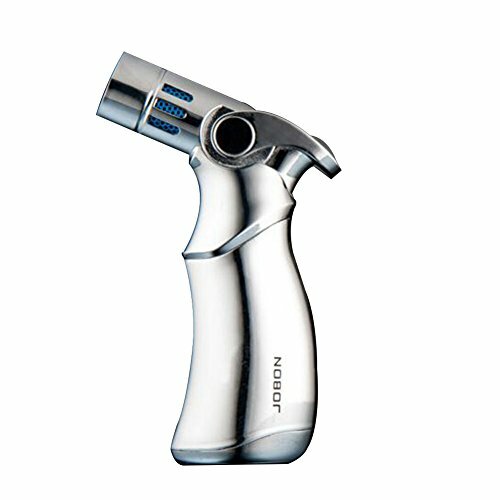 Looking for more Silver Butane Torch Cigar Lighter similar ideas? Try to explore these searches: Christian Dior Body Moisturizer, Jeep Wrangler Wheels, and Large Brim Straw. 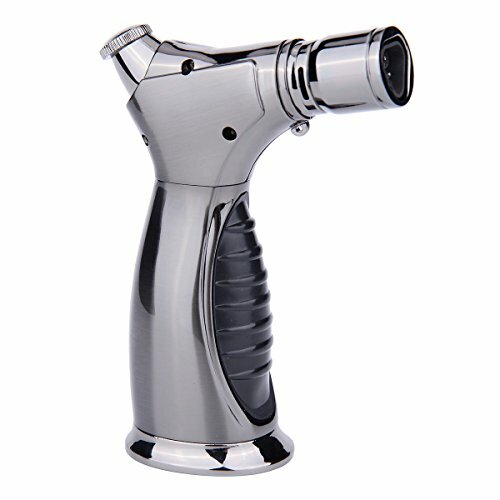 Look at latest related video about Silver Butane Torch Cigar Lighter. Shopwizion.com is the smartest way for online shopping: compare prices of leading online shops for best deals around the web. 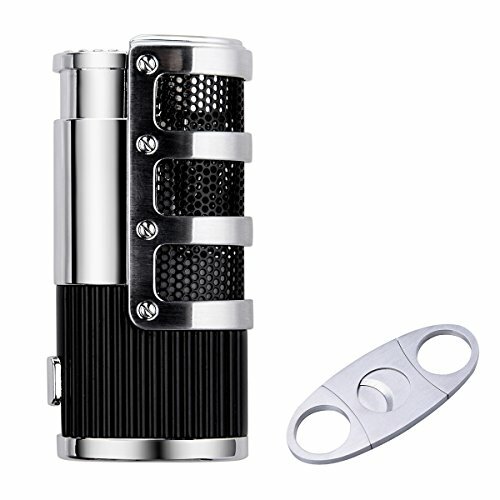 Don't miss TOP Silver Butane Torch Cigar Lighter deals, updated daily.